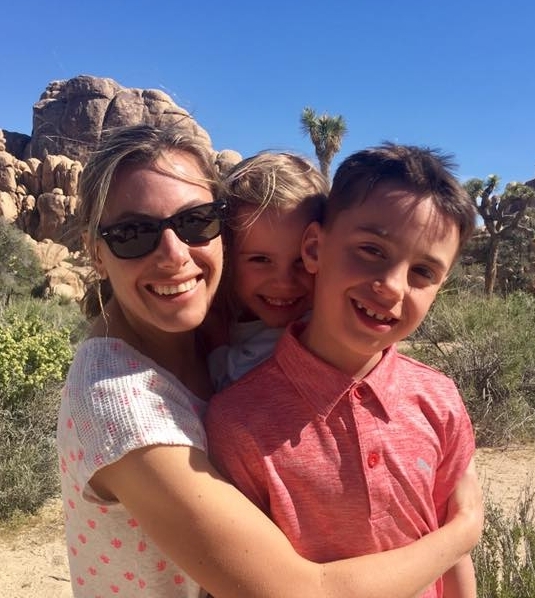 Meet Lisa Treviso-Jones, mom to Arlo (4) and Ira (6), wife to Eric, and clinical speech pathologist at the University of Colorado Hospital. Our first overnight rafting trip! We floated and camped with a two-year-old and a five-year-old. We were freaking out that the kids wouldn’t be entertained, but they entertained themselves. We saw them have the time of their lives, watching the water go up and down, singing songs, looking at wildlife, chasing frogs. They loved it and it was so nice to connect as a family. Also, our first trip to Mexico. My parents are bilingual, but wanted us to assimilate to American culture so they didn’t speak Spanish to us. I took Spanish in high school, but didn’t solidify my Spanish until traveling to South America when taking a year off between undergrad and grad school… My older child didn’t understand the importance of learning Spanish until he played with kids from Mexico and quickly connected learning Spanish to communicating with other children from a different country. ﻿2. What are some of your favorite everyday adventures together? 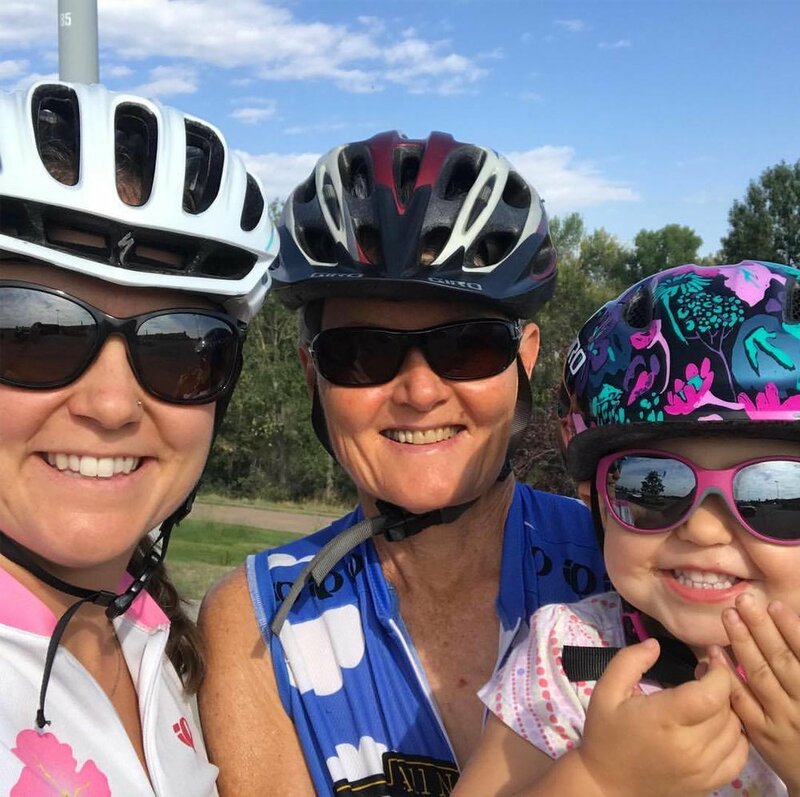 On the weekends, we get out our bike setup, the Weehoo, and we go all around town: the Children’s Museum, ice cream shop, friends’ houses… it’s so easy to cruise around and the kids love it. In the winter, we rent ski gear and set up a little ramp in our backyard so the kids can practice on skis. 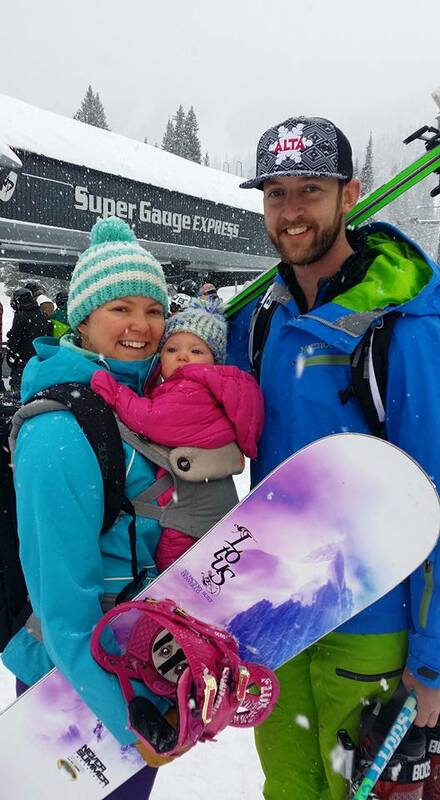 A lot of parents think they have to go to a ski resort, but you don’t have to feel guilty about spending a ton of money. Just setup the backyard, and come in for hot chocolate and cookies when they get tired. Mostly from parents with older kids who also love traveling, going on hut trips or family vacations out of the country. A friend of mine with older kids always says, “you’re going to forget 10% of what you need. Just make sure it’s not the most important 10%.” Words to live by. My husband and I waited for quite a while to have kids because we were so worried we wouldn’t be able to travel anymore. 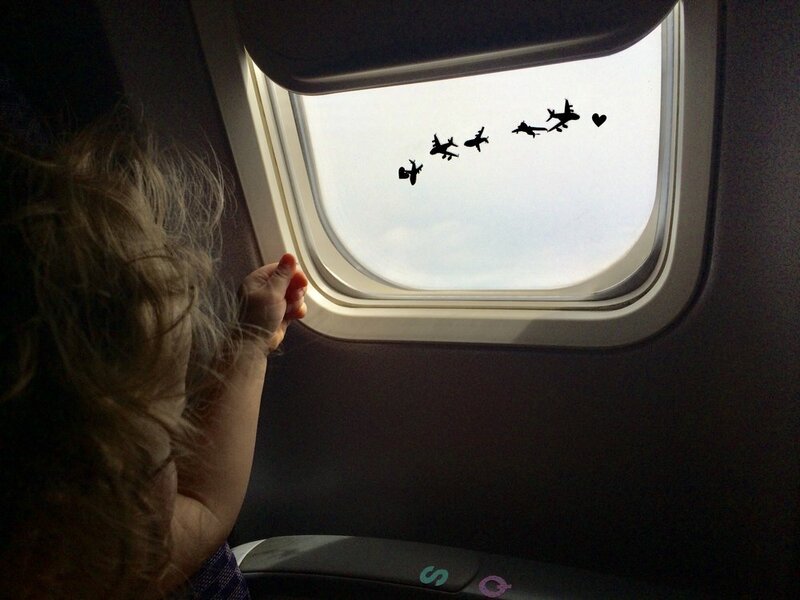 Having kids has changed the way we travel, but it hasn’t stopped our fun. Before we’d just go and figure it out. Now it just requires a little more planning. We need a place to stay. Not just a backpack. Just try it! Before we go on any adventure, I’m always a little nervous about how things will turn out. But once we do it, it’s always great. During our overnight raft trip this past summer, there was a horrible storm. It was a little crazy… but when the kids saw the parents laughing afterwards, using duct tape to repair the tent poles that broke, they knew it was alright. Even in the bad times, it ends up being funny or a learning experience. Always bring your duct tape! Also snacks and water. How much beauty there is in nature and how amazing it is to experience other cultures. Also, how learning Spanish, or any other language, will allow for an instant connection. “You don’t know until you try it!” I try and remind myself of the same thing when we are about to embark on a bigger adventure. I was nervous about many of our camping, rafting, traveling adventures, but many of them have now become our annual trips - and now we bring along our friends! Why haul a heavy crib or bulky docking station when you can BYOB (build your own bed) instead? Create a baby crib or big-kid siesta spot using our BYOB Guide (and stay tuned for our Hotel Setup Tips) to make sure everyone can snooze, even in the same room. BYOB and then sleep in! Bring enough for the trip, emergencies and long layovers. A day’s worth will do for shorter and overnight trips. Then either send more to your destination via Amazon or buy what you need when you arrive to save valuable space along the way. If you're traveling with a baby, a carrier might be all you need. For infants, use a wrap like the Baby K’tan. For bigger babies and toddlers, pick more support with the Boba Air or Baby Bjorn. If you need a stroller, go with light, sturdy and compact like Kinderwagon or Baby Jogger. The Kinderwagon's Hop Tandem is only 22 pounds - and perfect for Kyoto strollin'. Most kids have favorite clothes and don’t mind wearing the same thing a time or two (or ten). Take advantage and bring separates that mix, match and layer. Stay tuned for our packing lists, and plan to do laundry or hand wash key items in the sink along the way. Make sure the shoes you bring are worn in so kids can cover lots of ground. 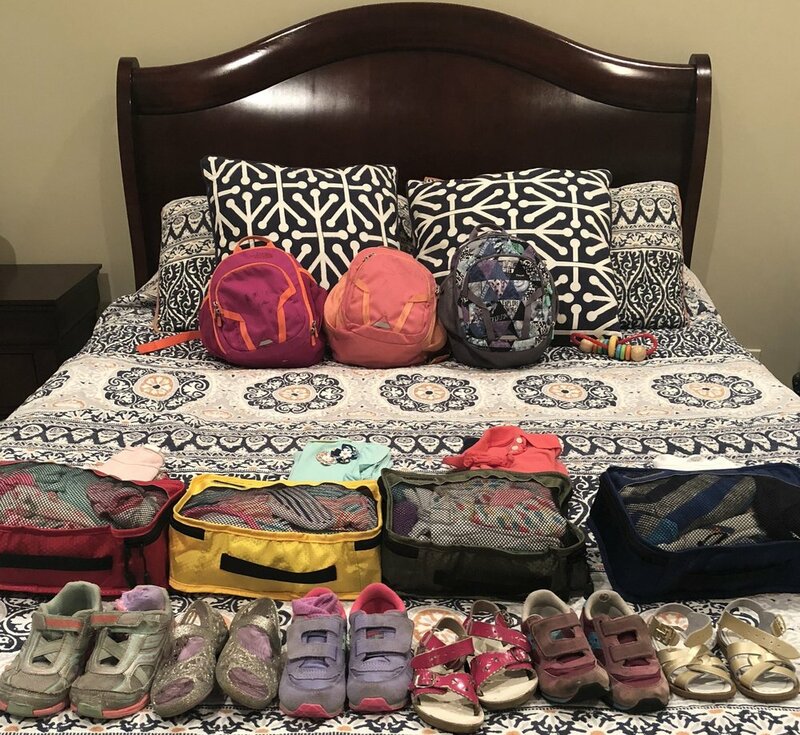 Two pairs are plenty, including running/walking shoes and another for special weather (boots for snow and rain or sandals for balmy weather). The best can be dressed up or down. Kids will fly through trips with the right shoes. With complete libraries accessible on iPads and e-readers, reading and coloring on the go is easier than ever. Download favorite stories with art, music and learning apps. You’ll have activities on the way and stories for bedtime routines wherever you may be. Most of us pack enough food to face an apocalypse when we fly with kids. Try to pack just a few snacks so you can make meals a fun part of the journey and enjoy local fare when you get there. Also, check out our Expert’s Favorite Travel Snacks. Luckily these girls had room for a few baked goods upon arrival in London. Even the lightest car seats can add another ten pounds to your already heavy load. If you can, leave car seats at home. Rent upon arrival, take portable versions or stick with public transportation. Trains, subways, buses and boats are friendlier for the environment and for all of us! The most important thing to leave behind is fear. Think of your trip as an adventure together. Then organize just what you need and envision traveling with confidence. You can do this! Parts of the trip might not be easy, but it will all be worth it. Just a dad and his gal, fearless on the cliffs of Novia Scotia. Ever dream of extending your family trips to explore more together? We know what you’re thinking: with kids, even short getaways can be ridiculously expensive. And we need so many supplies just to go the park, being away for much longer could be crazy! But did you know the longer a trip lasts, the lower the per-day cost and the less you really need? Kids crave consistency. Give them a place to enjoy breakfast each day by trading houses with friends or finding a spot to rent. With sites like HomeExchange and Airbnb, it’s easier and more affordable than ever to find a home away from home. From there, you'll be able to stick with your usual routine, have the day-to-day supplies you need, and take mini trips to really experience the place. When you live in your vacation location like you would at home, your typical expenses should be about the same. Budget for transportation and accommodations, plus emergencies and special splurges. You might start by forgoing family birthday presents and parties and instead, put the money towards your longer trip. You can also try these other trip-saving tips. If your dreamy destination is within driving distance, take your own car to spend less than you would on a rental with car seats. If you’ll go farther afield, buy flights at the right time and go where the cost of living is lower like a big-city equivalent. For instance, if you've always wanted to live in Barcelona, try Girona with the same magical, Catalan culture sans crowds and high prices. With so much to see and so few vaca days, arrange to work remotely, if possible. It’s best to craft a business case and request a trial period far in advance to prove how much more productive you can be. Then ease into working from home a day or two each week. When you convince the boss it's a brilliant idea, you'll stay engaged without using vacation days. If you work outside the home and need childcare help, see if a favorite family member or nanny can come with you or do a little research to see what you can line up. Chances are, your kids can attend the same kind of daycares, programs or camps they would at home. If you trade houses with friends, tap into their local network and offer them yours. A few weeks before you leave, journey map your typical day by keeping track of what you do and what you really need. Plan to layer and do laundry so you can pack less and buy essentials, like diapers, upon arrival. Empower kids over two to carry clothes in a packing cube with a backpack of favorites. Remember what to leave behind too! Instead of action-packed tours, rental cars and high-priced attractions from typical trips, you’ll have the time and flexibility to find all that’s free. From open museum days and outdoor concerts to libraries, parks and farmers markets, you’ll be able to explore a whole new world without spending much. All you'll need is your phone and your family. Whether you're taking a trip to the grocery store or flying to another country, there is one thing you should do to increase the chances of success when out and about with kids: set expectations. The Childwise book series says, “children will rise to the expectations of their parents.” Kids are capable of much more than we think. So spell out the plan and explain what's required of them. If you’re going to the store, talk through the process. Explain what you expect them to do while you shop together (carefully steer the cart, pick the perfect peach, sniff out the sweetest tulips). 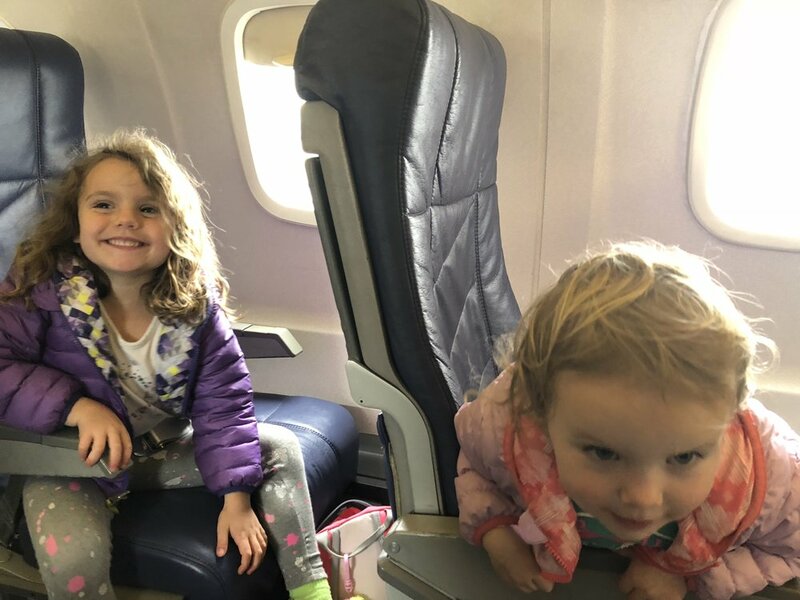 For bigger trips, give kids the travel rundown and again, explain what you expect them to do (help pack, go quietly through security, hold hands with a little sis). Demonstrate complexities like boarding and deplaning. Then repeat what you've discussed, and remind them what's expected along the way. For a more exciting setup, take a tip from Finding Nemo with something like, "Alright, little dudes, we're gonna to have a great flight today! Find your airplane buddy! Do you have your airplane buddy...?" Like Marlin, kids may not understand everything that's about to happen, but if they understand our expectations for them, they'll be better able to meet and exceed them so that we can all enjoy the ride. Meet Sara Hageman, mom to Avery (two-and-a-half) and Avery's future sis (due in just eight weeks! ), wife to Steve, and outdoor sporting goods expert. The first was when we took our daughter, Avery, to Hawaii for her first birthday. “Hard” is not even a word to describe our first year with a baby. It was more like… survival mode. We needed to reconnect as a family and as a couple. Steve and I went from survival mode to beach mode, and it made the biggest difference in our relationship. We felt, for the first time in a year, that we could sit back and enjoy Avery. We watched her play, listened to her laugh, tried to just be. It made us be in the moment. The second was when my sister and I took Avery backpacking when she was 11 months old. A lot of parents are afraid to travel or camp because you have to bring so much stuff, but you don’t really. Kids adapt. They’re creative. Avery played with pinecones and sticks and she loved it. Adventuring forces you to take a step back, bring less, and just enjoy each other. 2. What are your favorite everyday adventures together? Hiking is our favorite, but going to the grocery is an adventure with a toddler too! When we hike, it’s not just about getting exercise. It’s being outside, appreciating the Earth. People don’t spend enough time outside – not just kids. All of us. You have to be flexible, learn as you go and show kids what you love most. I hate when people say, “…and then we had kids and stopped doing these things.” Show them! If you enjoy skiing or cycling or travel and love that, then show it to your kids. Some people get a day off of work and don’t know what to do. I learned from my mom how to do what you love and play hard. I want to teach Avery that too. "I learned from my mom how to do what you love and play hard. I want to teach Avery that too. Keep it simple… pare down and be flexible. As a parent, know your kids are gonna pick up on whatever you’re stressed about or you feel is hard. If you say, “Hey! Now it’s raining. We’ll just put on a rain jacket and keep moving,” then a change in weather is not that big a deal to them. A backpack or some kind of kid carrier (wrap, sling, framed pack) and snacks. Always snacks! 7. What do you want your kids to learn about the world? To respect Mother Earth and they can go on any adventure they want to… go and play, explore, meet new people, try new foods, be part of different cultures. I think it creates empathy and they’ll know they’re not the only people in this world. Hopefully our kids will be more caring and more thoughtful. For our first parent profile, meet Deborah Williams, mom to Hwitley (five years old), wife to Bradd, passionate #outdoorist, and Outdoor Industry Association managing content editor. 1. What has been your greatest adventure before kids? own close-to-home neighborhood or city park. Go at your own pace. But go. 2. What has been your greatest adventure with kids? This morning! I feel like every day is an adventure! 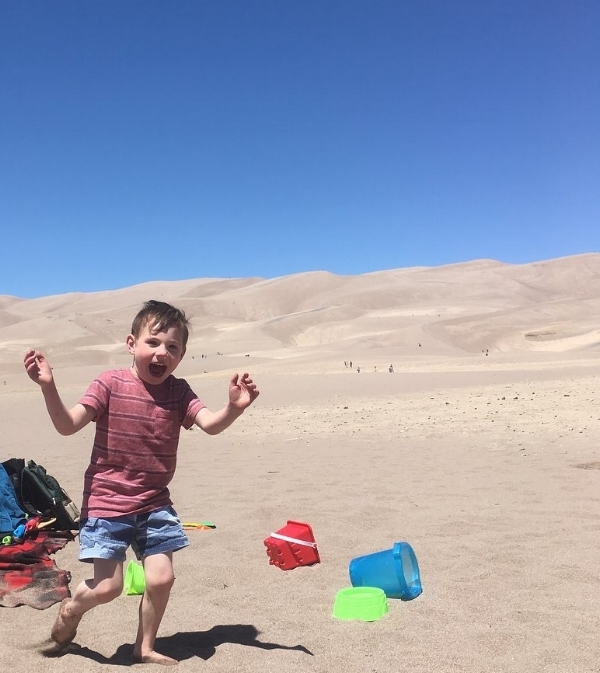 Also, our recent trip to the Great Sand Dunes National Park… Hwit has autism and with special needs, his communication makes everything a bit of an adventure. When we get outside of our routine and familiar surroundings, he’s resilient and isn’t averse to new experiences. But also you have to communicate with him differently about what some of the risks can be. The Sand Dunes are incredible for anyone, but it was especially exciting seeing them through the eyes of a kid who thinks and communicates differently and who has such rich sensory experiences. In the world's biggest sand box, your hands feel like they’re on fire and your feet burn. But he was running around without shoes, and he loved it. He was so happy. 3. What are some of your favorite everyday adventures together? 4. Where do you find parenting inspiration, ideas and encouragement? Friends, family, Facebook, my own parents. Most parents want kids to do the sports or activities they did and if kids say they want to do something, they’ll let them try it. But Hwit doesn’t express verbally what he wants to try. We have to pay attention to see what he gravitates to… like Danny and the bike. many blades are there?” and that will tune him back into us and invite an interaction. I’ll follow his lead. If he takes his shoes off to feel the grass or the sand, I’ll take mine off and see what’s so great about it. We introduce him to new experiences, and he does the same for us. 5. What do you wish you had known before having kids? I’ve traveled a lot, but I wish I had traveled just a little bit more and been more present in what I was doing. When I traveled, I was always thinking about how I’d be able to say ‘I’ve been here,’ and I’d try to amass as long a list of ‘been-there-done-that’ as I could. With such limited time, now I wouldn’t put such a premium on the quantity of things as on the quality of my time and interactions. 6. What advice do you have for other parents trying to explore more? My advice is, especially when it comes to exploring more, just try it. Too often we think, “Let’s go on a weekend trip,” but then you start to think about it and say, “Oh, it’s a long way…” You focus on what is challenging. You might even say “Oh, it was so much easier before kids” and talk yourself out of it. You know what? If you load the car up and get out on your way and halfway there, the kid’s not having it and you need to go home, you still had an adventure. It’s better than not doing it at all. Sometimes parents say, “it’s just so hard with a kid or two or four… it’s too much so we’re just not going.” You make it easy on yourself by not going, but you deprive of kids of really cool opportunities. 7. Which top two things can you not live without when out and about with kids? A change of clothes. Hwit loves being in everything, which is awesome, but it usually means he's going to get dirty, and it's nice to change afterwards. And a water bottle. 8. What do you want your child to learn about the world? I want him to learn that a lot of life is adaptive… I used to work the Professional Ski Instructors of America (PSIA), and I had an incredible experience skiing with an instructor named Bill who was on the PSIA Demonstration Team. Bill had been paralyzed in an accident when he was younger. He skied in a sit ski, and he absolutely ripped. He said to me, “You know, Deb, skiing is adaptive for everyone. No one is born with skis on their feet. It’s new for all of us.” That idea really stuck with me, and it applies to a lot in life. Kids and parents have to learn that and adapt to things. Hwit can adapt to anything and as he does that, the world will figure out how to adapt to him as well. 9. What’s your parenting motto? My motto is one my mom has said: Kids rise to the expectations you set for them. If you expect kids to do great things, dare to take adventures, behave politely, whatever it is… they will. No matter what kids have going on, wherever challenges may or may not be, expect great things and they’ll achieve them. And you'll be along for the ride. Remember those sunny, summer days of family vacays? When your parents broke away from the day-to-day so you could simply be together? Can you believe our kids may not have those lifelong memories? Studies show family vacations are more important than ever before, but today's parents don't use all their time off and "technoference" interrupts time with kids even on trips. As technology pulls us inside, away from nature and sometimes away from each other, more families opt for active, outdoor adventures that demand digital detox. But with the impact family vacations have on kids, why wait for your next trip? Here are five ideas to make memories anytime. 1. Go to the "beach"
Bring the best of the beach to your backyard. Water? Check. Inflatable pools are so hot right now that you can find them online for less than the price of puddle jumpers. Sand? Yaaas. The kinetic kind makes for even better sand castles because it molds, won’t stick to your hands (and absolutely every part of your kids), and never dries out so you can use it again and again. Sun? Plentiful in summer. Just grab your suits. Bonus beach points for a sprinkler or slip ‘n’ slide. Oh, and tropical drinks for everyone. 2. Go to the "mountains"
Part of the excitement when heading for the hills is collecting your gear. Take the kids to an outdoor store like REI to look for (or just at) supplies. Explore aisle after aisle of bright nylon and cool gadgets. Maybe even treat the kids to something small like a flashlight or headlamp. Later, set up a tent in the backyard and equip it with all your outdoor items. Make hot dogs and s’mores in the microwave. Tell stories under the stars. Sleep in your sleeping bags – and still sneak in to go to the bathroom. 3. Go to "another country"
You don’t always need to take a long flight to venture to a new country and culture. Indulge your culinary curiosity and make a few new foods. For instance, Argentine empanadas are a cinch to make with pizza dough and kids’ favorite fillings from savory meats to fruity sweets. Visit the library to find a few books or movies about Argentina to learn more about the place, people, history, food and drinks. Then enjoy your authentic meal al fresco with fun candles or party lights. Instead of venturing all the way to the Sunshine State, encourage the kids to dress up as or bring out their favorite Disney characters. You can find a mini movie projector for as much as movie theatre tickets for a family of four. Add a sheet and fire up your home theatre. Make a nest of blankets outside and enjoy a Disney classic with some theme snacks. Better yet, kick off the magical night by showing a glimpse of the Enchanted Tiki Room with a homemade Dole Whip – no lines required! 5. Go to the "games"
Why wait another two years for the Summer Olympics? Divide the kids and their friends into teams, and ask them to come up with names and uniforms. Then organize some DIY activities. You can play Twister with circle stencils and spray painted grass or Memory with painted cork tiles. You can also compete in Outdoor Pictionary with driveway drawings and a Balloon Toss to cool off. Come evening, get crazy with Glow-in-the-Dark Bowling using glow sticks in water bottles. Let the quality time begin!